RPC Saeplast extends its range of 630 PE containers with a ‘leg’ version, available without a pallet board. The design provides a four way access for users. It can be specified with a lid and is also able to be stacked with existing pallet-board versions. 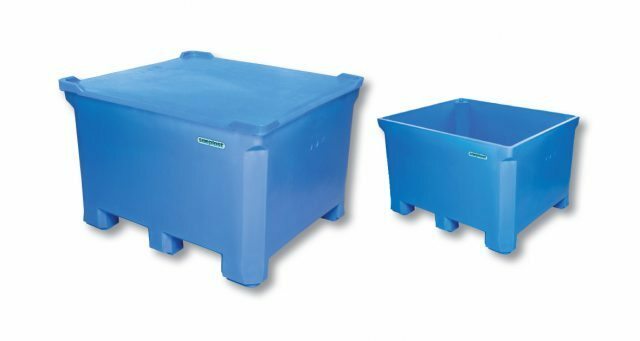 The container enables a safe and efficient handling of food products and is widely used in the meat, poultry and animal by-product industries. Its strong triple-layered polyethylene or PE construction is light and easy to handle with low noise levels. The ergonomic ‘closed cell core’ design does not absorb liquid and prevents the growth of harmful bacterial growth to deliver highly effective hygiene control. The one piece construction avoids easily-broken joints or the creation of hard-to-access revasses to ensure easy cleaning and sanitization.